This mercury activated, wide-angle pump switch provides automatic control of smaller pumps in non-potable water and sewage applications. The Junior Super Single® pump switch is not recommended for use with motor contactors or relays because the motor contactor or relay may experience chattering. 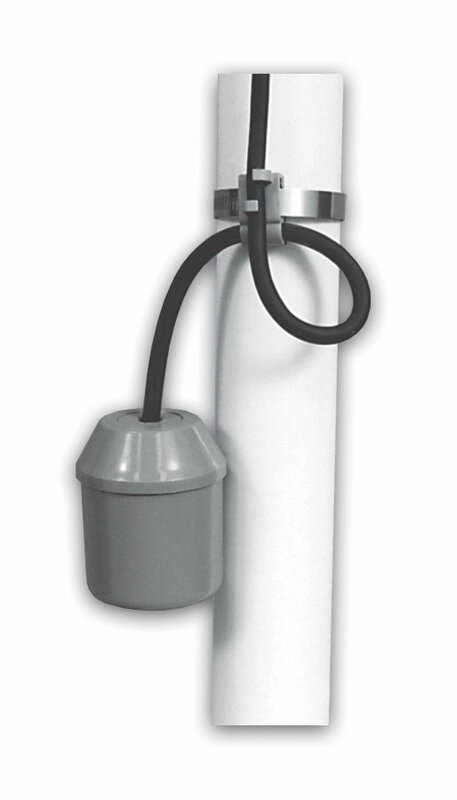 A Super Single® or Double Float® pump switch would operate more efficiently in these installations.